It is that time of year to pick what kind of fishing you want to do… it has all been good! 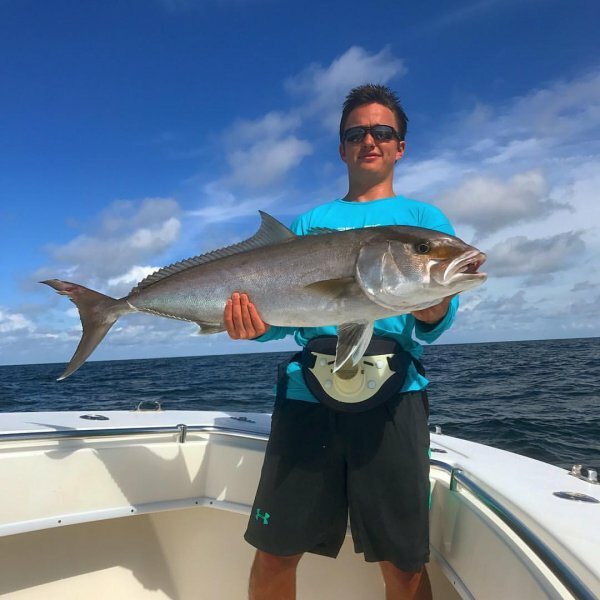 Galveston Deep Sea Fishing, Shark Fishing, Galveston Bay Fishing, Galveston Flounder Gigging at night, Galveston Speckled Trout Fishing… With the stable weather we are finally experiencing – Fish Killing is going to continue to be incredible. This past week we continue to take advantage of our 49 day Red Snapper Season, and putting some Giant Red Snapper on ice. We have been running most of our trips out of Freeport, Texas – just across the bridge from Galveston Island. The Big advantage to running out of Freeport is deep water access. 30 miles out of Galveston and we are in 55 foot of water. 30 miles out of Freeport and we are in 100 foot of water. What does this mean? More fishing and less boat riding! Along with the Red Snapper, we are targeting Cobia, Mahi, King Fish, Wahoo, Amberjack and more. The Jetty/Beach front is an awesome place to be in July. Deep water, lots of baitfish and Giant Speckled Trout is the recipe for an amazing fishing trip. We are using live shrimp free lined along the jetties in key areas where currents increase feeding activity. 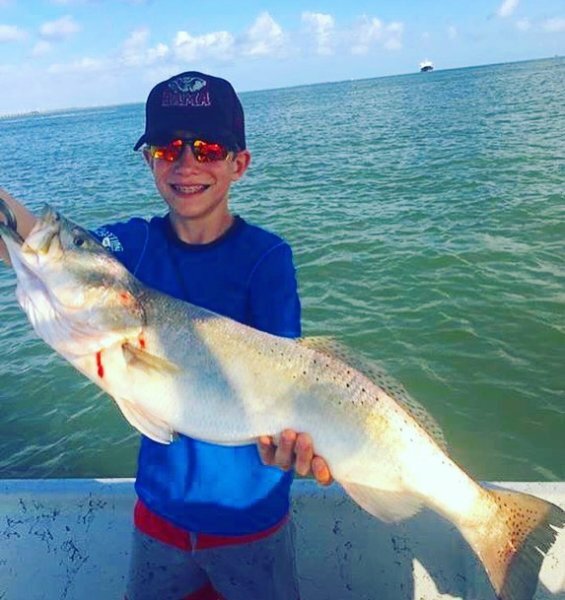 Our Galveston Fishing Guides are bringing in some amazing catches of Big Speckled Trout. There have been allot of great things going on on our Galveston Jetty and Beachfront trips! On a recent fishing trip with our newest Galveston Fishing Guide, Captain Gregory – a CCA tagged redfish was caught. This fish is worth a $30,000 boat… if the angler… had been entered in the tournament. Captain Gregory did release the fish unharmed, and it is swimming not too far from where it was released I am sure. Just days before the tagged red was caught… Captain Ernest had a customer land an amazing Tarpon on a trout rod! 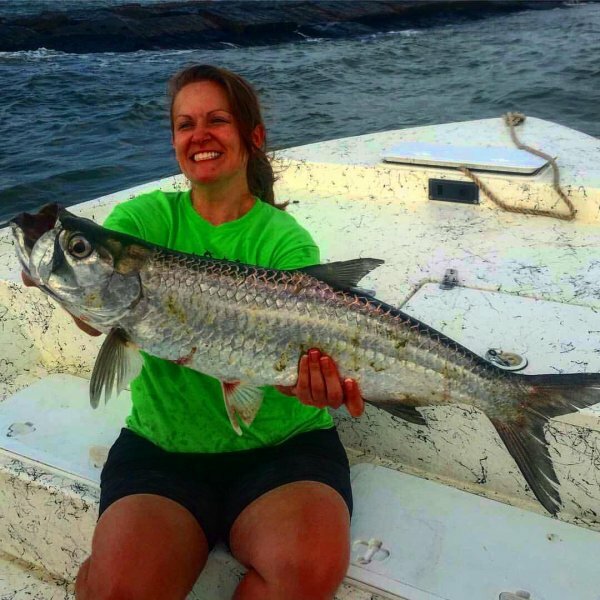 When you go fishing with our Fishing Galveston Tx Fishing Guides…. You just never know what you may land! Captain Ernest ran a recent flounder gigging trip. This was the first trip we have been able to run in a while due to water conditions and high winds. Finally, it seems the winds may taper down. This means some great night time flounder gigging fun. If you want to beat the heat, a night time flounder gigging trip may be just what the doctor ordered. 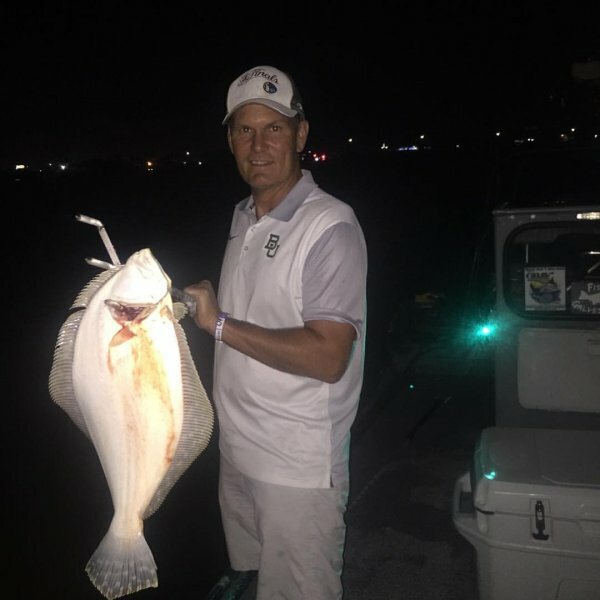 Gigging Flounder, Sheepshead, Black Drum, Blue Crabs and “grabbing” Stone Crabs is a great way to spend and evening on the water. If calm, secluded, back water bayou fishing for redfish, flounder and speckled sounds like a peaceful retreat… Our Bay/Marsh trips are on fire. Flounder have began to move in feeding on shad, redfish are always in these areas, and with heavy rainfall in our distant past – water clarity is improving and speckled trout will be thick as well. This is a great Family and Kid Friendly Fishing Charter. Sea sickness is never a problem, and the scenery of these marshes is worth the trip in itself!